I should’ve done this a long time ago. So here we go, after 3 years of research, these are the primary things that drive me crazy, in order from most obvious to least obvious (but assumed somewhere in the back of people’s minds). If you ever read anything that makes any of these claims, you can be sure it’s an unreliable (or under-researched) source. 1. Vincent van Gogh cut his ear off. This may seem a bit pedantic, but it was his ear lobe, not the whole ear. As slight as this oversight may seem, I notice people seem to really react when I tell them that. 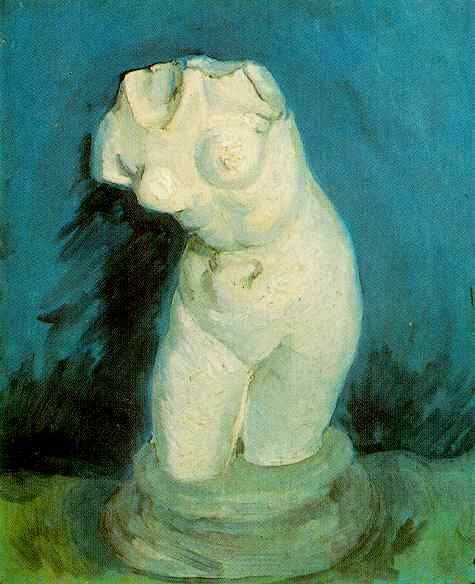 It’s also possible that Vincent got in a fight with Gauguin and that he cut it off. I find either scenario likely since Gauguin is not a reliable narrator, and lied about various details concerning that infamous night. Anyway, the main point is, we do not know what happened exactly. Also – as far as the idea of Vincent giving the piece of his ear to the prostitute Rachel:this was reported in the newspaper of the town (well, they reported he gave his whole ear) and Vincent writes in his next letter of “the girl I went to when I was out of my mind.” The ear is not mentioned, however. Over all, it seems likely to me that he in fact did give her this strange gift. 2. Vincent van Gogh was crazy. Okay, yes, he went to an asylum, and he had attacks with hallucinations where he would hear voices, and he definitely ingested paint as a way of hurting himself in the asylum, as well as eventually committing suicide. However, Vincent was not always like this. All his attacks occurred in the last two years of his life. Which is not to say he was completely stable and calm the rest of his life, but I think the rest is pretty understandable given his circumstances. Two years, out of the 37 years he lived, is about 5% of his life. Thus, the statement that he was simply crazy is not quite accurate enough for me. It is also note-worthy that psychologists seem incapable of pinning his attacks on any singular condition or illness. A large part of his madness seems attributable to his difficult social conditions, his terrible diet, and his high intake of alcohol and tobacco. Something I read today that I found very interesting was that the gas in the lamps he used in Arles (where he first had his attacks) were 5% carbon monoxide, which is a poison capable of provoking over two hundred symptoms and a dozen illnesses including epilepsy, hallucinations, hypersensitivity, and depressions that could lead to suicide. That is to say, almost everything he suffered from. Lastly, his suicide was executed with a cool mind. This much is known because during the last day of his life, when he was still awake (as the bullet had missed his heart), he said that if he survived he would have to kill himself again. 3. Vincent van Gogh’s madness fueled his art. The most fabulous and annoying of the lies. It really gets my goat every time I hear it color the way this painter is represented (excuse the pun), so let me make it clear: Vincent could not paint or even write during his attacks! Between attacks, he had phases of complete lucidity in which he would finally gain back his strength enough to work. The way he saw it was that painting was possibly his cure. Vincent did not like his “madness” nor did he encourage it — he actively fought against it every day after his first attack. 4. Vincent van Gogh never sold a single painting. BAM! This painting was sold to Anna Boch for 400 francs in 1890. Vincent died some months later. 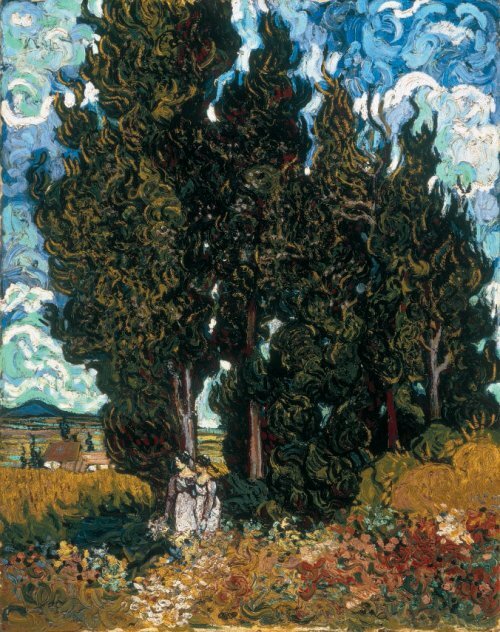 Also, Vincent got his work out there in other ways, by trading paintings with other artists (which they wouldn’t do unless they thought they were worth something), and trading his paintings for paint supplies, and sometimes meals. 5. Vincent van Gogh was completely unrecognized during his lifetime for his work. Also untrue. Apart from the sale, Vincent’s work also got its first review in 1890 (when obviously, he was gaining steam) and it was incredibly positive. 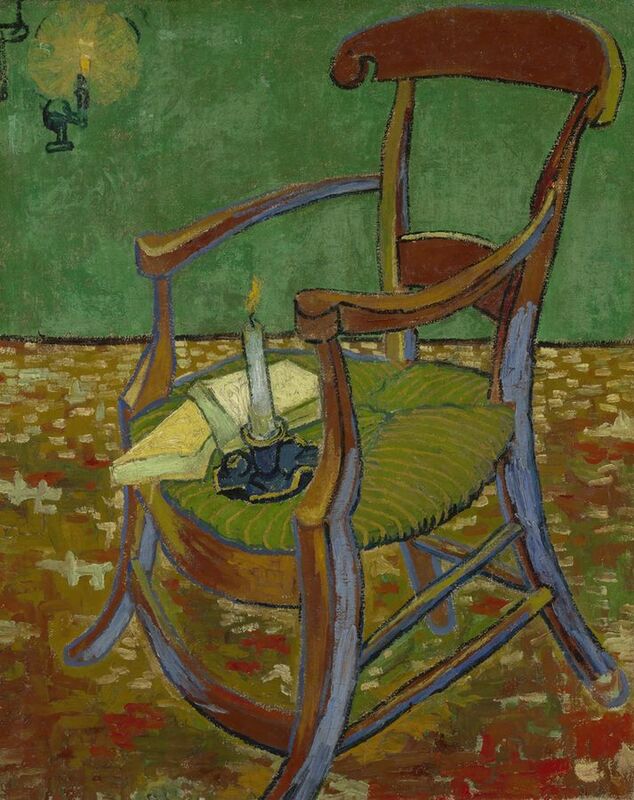 Vincent gave the critic, Albert Aurier, the above painting as a gift in return. Another critic wanted to write about him earlier, but Vincent had told him not to, and various artists from Henri de Toulouse-Lautrec to Claude Monet admired and defended his work. 6. 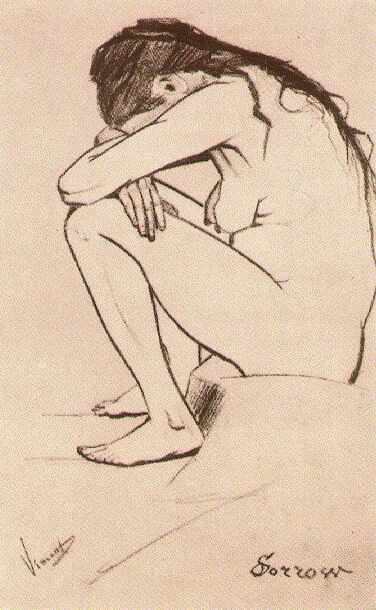 Vincent van Gogh was entirely self-taught. False. 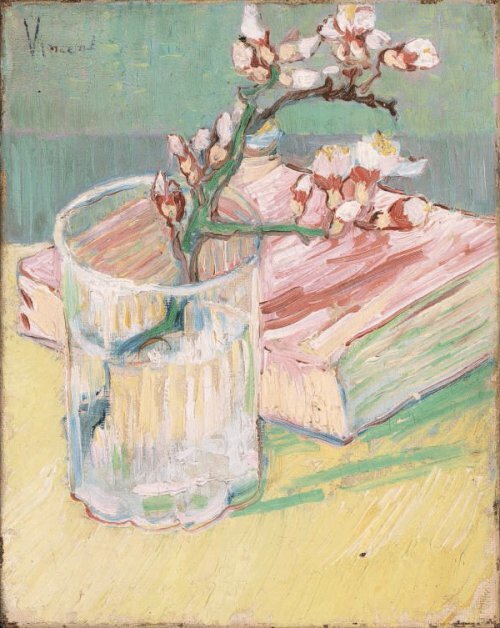 Vincent had several very serious mentors and tutors in painting before he took painting courses in both Antwerp and Paris. The above was painted in his class at Cormon’s studio in Paris. 7. Vincent van Gogh was poor. 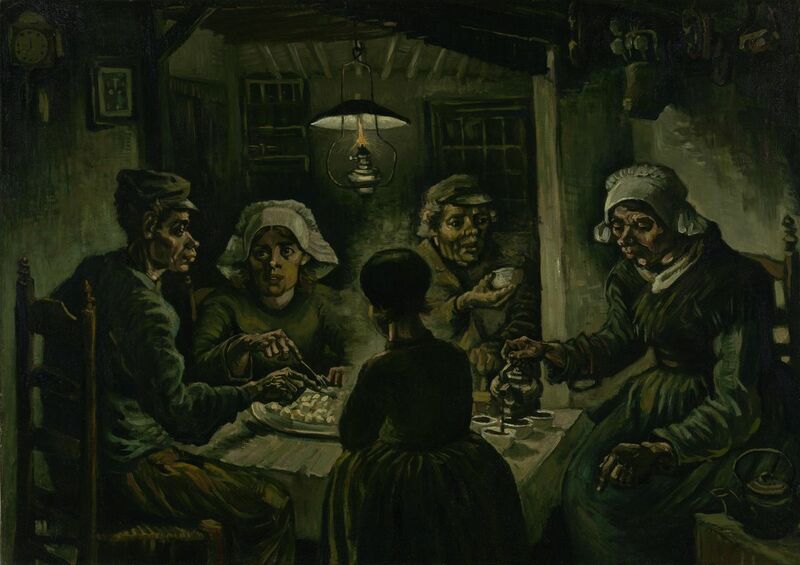 While Vincent lived in poverty, his brother Theo did send him enough money to live and eat, but Vincent spent most of it on canvas, paint, and models. For long periods of time, he allowed himself little more than dry bread, perhaps cheese, tobacco, and alcohol to survive by. He chose to live poorly, and to give his all to his work. 8. Vincent van Gogh never had a romantic relationship. Vincent lived with Clarissa Maria Hoornik, or Sien, for a year and a half. She is pictured in his drawing above. He took her in when he met her, pregnant, and already with a five-year-old daughter. She was a prostitute and had been abandoned by the father(s) of her children. He considered this the right thing to do (that any good man would do), and he became very attached to his little family in the time they spent together. He felt enormously guilty when he left her. Later in Nuenen, Margot Begemann was another woman whom Vincent loved and who returned his feelings. When her family pressured her to end things with him, she attempted suicide. Luckily her attempt failed, but he never saw her again. 9. Vincent van Gogh was always a painter, had never considered another career, etc. 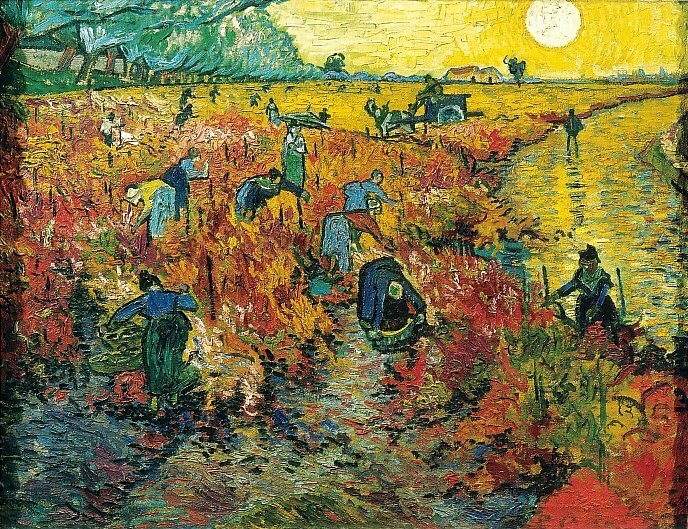 Vincent initially attempted to be an arts dealer like his brother Theo would become, and like many of the men in his family were. After that failure, he turned to the clergy for four years (to join his father’s profession) and was set on being an evangelist for some time. He dreamed of saving the souls of the poor. Of course, his passion and self-sacrifice made him unpredictable and undesirable. Again and again, he was dismissed from his religious studies and his religious appointments. Painting was his last career choice, at 27 years old. 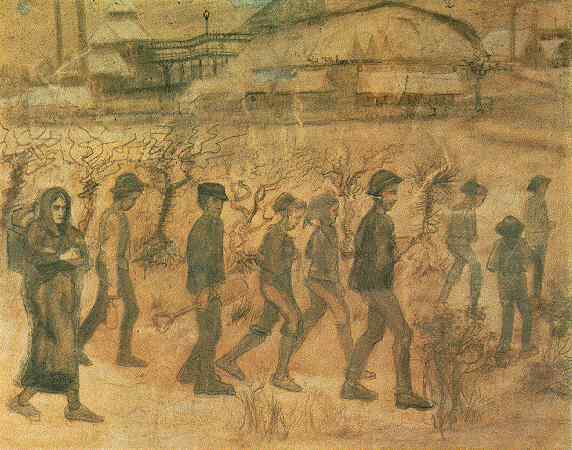 He began by drawing the mining community he tended to. 10. Vincent van Gogh had no friends. Vincent had many friends, particularly in the last five years of his life (though it is true he spent most of his time alone). In Paris he made friends with numerous artists, but particularly Emile Bernard, Henri de Toulouse-Latrec, and Paul Gauguin. He also made great friends with the paint dealer Père Tanguy. In Arles, he made friends with several young painters whom he gave classes to, he expresses in his own letters that he got along very well with his neighbors, and a beautiful friendship blossomed between him and the postman Joseph Roulin. At the asylum, he had a “great friend” in sister Epiphane, and in Auvers you had, of course, Dr. Paul Gachet. Well, I hope this clears some things up! If you’d like any clarification, Readers, please — ask away! Thanks, I knew most of this of course, but at least you teach the ones still in the dark ages. Wonderful way of debunking myths! 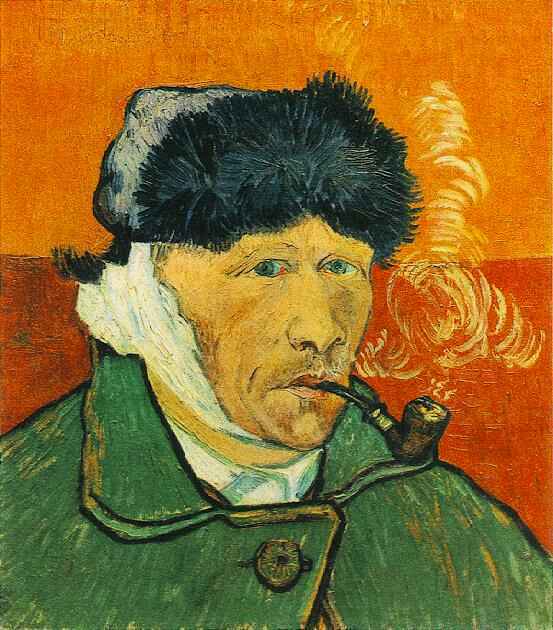 I always believed that van gogh cut his earlobe off, too, but I’ve changed my mind. If you read the van gogh letters and their notes on the Van Gogh Museum website, you’ll agree – from all eye witness accounts, and police and doctor reports, he cut off his entire ear. Thank you so much for your comment. I’m afraid, however, that you have gotten a bit mixed up. Although the police report and letters seem to imply that the whole ear was cut off, history tells us this is not true.